In Maryland, any vision loss should be a “cap” case which means you would get Maryland’s statutory cap of $845,000 for an accident occurring in June 2018 plus whatever you economic losses might be. If it is a malpractice case, the cap is $800,000. Economic damages in these cases can be significant. Because of the potential loss of wages, employee benefits and loss household services on top of future medical care, the economic losses in these cases can reach the millions very quickly. Damages are broadly defined both as direct costs to the victim and as any loss of income or economically valuable activities that resulted from the incident. The subject’s pecuniary damages are divided into three categories: loss of earnings, medical expenses and the cost of any care that is required. These are eye injury plaintiffs’ verdicts from around the country. Can these give you a better idea of the range of value in these cases? Absolutely. But I think you need to be careful about reading too much into a single case that sounds much like your own. There are just too many factors in the mix to be able to read a summary paragraph and think your case is identical factually or that all of the other factors in that case – most notably, jurisdiction, will be at play in yours. So take the lessons these cases teach us but don’t overlearn the lesson if you know what I mean. Florida, 2017 | $13,653,245 Verdict. A man suffers from eye pressure, dizziness, hallucinations, pain, eye and lost balance. Plaintiff alleges this is the result of an injection of antibiotic Gentamicin was negligently injected into his eyes after cataract surgery. Arizona, 2017 | $1,600,000. 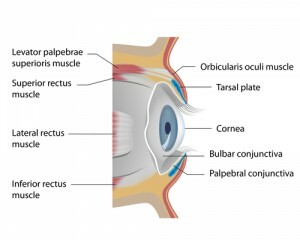 A construction worker suffers a severe penetrating injury to his right eye. As a result, he lost his vision. Plaintiff claims his injury is the result of an employee pulling his leg. The defendant claims An employee of defendant Caylor Construction Corp., pulled his leg, which caused Stock to make an involuntary movement. The plaintiff contended that De La Vara’s unexpected physical contact was the cause of the injury. Defendant De La Vara denied touching the plaintiff and contended he was negligent in failing to wear eye protection while on the job site. A jury determined the plaintiff was 10% at fault, the plaintiff’s employer was 10% at fault and the defendants were 80% at fault. Oregon, 2014 | $4,750,000 Settlement. Plaintiff, having been diagnosed with glaucoma years earlier, sought out treatment and monitoring of his glaucoma from the Defendant, as he advertised himself as a glaucoma specialist. I guess he was just a self-proclaimed expert. After receiving poor treatment for five years, Plaintiff had to undergo a left eye trabeculectomy (filtration surgery). Plaintiff sued Defendant for negligently failing to properly monitor and care for his glaucoma. The case was settled out of court for $250,000 in economic damages and $4,500,000 in noneconomic damages. New York, 2014 | $826,080 Settlement. Plaintiff, a 16-year-old girl, was visiting her boyfriend when another individual in the home discharged a pellet gun, striking Plaintiff in the face. Due to the location of the pellet, it was unable to be removed, causing the Plaintiff to experience several weeks of headaches as well as permanent residual impairment of her vision. This is awful anyway but I think these cases are a thousand times worse when we are talking about a 16-year-old with her whole life ahead of her. Plaintiff did something that is extremely rare in a malpractice case. They filed and won a motion for summary judgment. So the case proceeds on damages only. This tells me it was a slam dunk case. Doctors accused of malpractice can almost always find a doctor to defend them no matter what. Plaintiff’s expert opined that due to the location of the pellet, it could not be safely removed and that any type of future trauma sustained could cause a shift in the pellet’s position. New York, 2014: | $2.65 Million Settlement. Plaintiff, an undocumented immigrant, was working at a renovation when a nail ricocheted backward piercing his left eye, causing permanent damage. Plaintiff sustained a rupture of the globe of his left eye and endured several procedures and surgeries. Plaintiff filed suit against his employer and the premises’ owner of the renovation site. Plaintiff’s employer was dismissed and the matter proceeded to trial against the premises’ owner. Plaintiff claimed he had requested protective eyewear but was instructed to work without eyewear. Plaintiff’s suit contends that the work site failed to provide reasonable and adequate protection and safety to the project’s workers. Plaintiff sought recovery of past and future medical expenses, past and future lost earnings, and damages for past and future pain and suffering. Plaintiff’s wife sought recovery of damages for loss of consortium. After a two week trial, and $2,939,000 million dollar verdict, the parties negotiated a post-trial settlement and the Defendant’s insurer agreed to a $2.65 million settlement. The amount was broken down as $45,000 for past and future medical costs, $345,000 for past and future lost earnings capability, $2,500,000 for past and future pain and suffering, and $49,000 for past and future cost of medication. Maryland, 2012 | $1,000,000 Verdict. Plaintiff, 59 years old, treated with Defendant doctor for diabetic retinopathy from two years. Defendant determined that Plaintiff’s condition had progressed to proliferative diabetic retinopathy. While Plaintiff conceded that her left eye vision could not have been saved, she argued that the Defendant failed to treat her right over for over a year, allowing her vision to go from good to blind. Plaintiff filed a medical malpractice suit claiming negligence and failure to timely treat her condition. Defendant denied all allegations and contended that his treatment was safe, appropriate, and conservative. He further claimed that Plaintiff’s heart condition prevented further treatment. 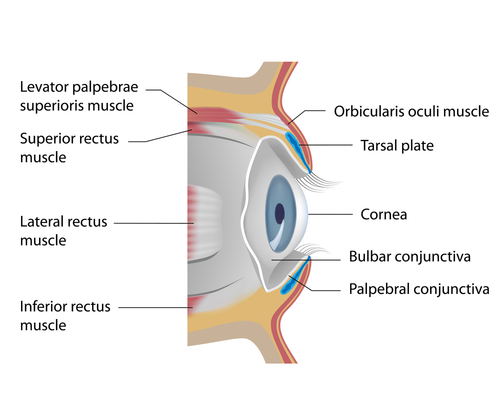 He asserted that her left eye’s vision was stabilized, but the loss of vision in her right eye was lost because of a sudden and unexpected retinal detachment. A Baltimore County jury, which usually gives doctors the benefit of the doubt, obviously saw it differently. Burley v.Western Maryland Eye Center (2017): Lawsuit alleging eye surgeon used wrong implant model during surgery. Proctor v. Prince George’s Hospital (2017): Lawsuit alleging prolonged hypotension and anemia caused permanent vision loss. Wallick v. Johns Hopkins (2017): Lawsuit against ophthalmologist after surgery to correct double vision leads to blindness. Dorchy v. Doctor (2017): Lawsuit against ophthalmologist after retina is perforated during cataract surgery. Grinath v. Azar Eye Surgery Center (2016): Lawsuit alleging doctors failed to properly measure victim’s eye before surgery, leading to blurred vision and additional surgeries. Our law firm has successfully handled vision loss cases in motor vehicle accidents, medical malpractice, and product liability cases. Call my office at 800-553-8082 and let’s figure out together whether you have a viable claim for compensation. You can also get an online consultation here.